Can anyone tell me how i can download the complete genome format of bacteria Refseq from NCBI ? I mention complete genome as i don't want any word of chromosome be in the FASTA files. I just saw some post regarding this matter and it seems with the name of organism in the format of text file will do the job. I can get the CSV file of the organism from this link " https://www.ncbi.nlm.nih.gov/genome/browse/#!/overview/ " and extract only the first column. If I use the script from this thread How to download COMPLETE bacterial genomes from NCBI based on list of names?, it seems it is not working and nothing will be downloaded. Can anyone tell me if this code is compatible to every format of species.txt or should i reformat it somehow? "'Sphingomonas ginsengisoli' Hoang et al. 2012"
None of your previous posts have gotten to closure. Please provide feedback and accept answers where appropriate. 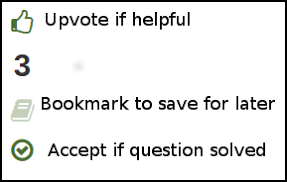 If an answer was helpful, you should upvote it; if the answer resolved your question, you should mark it as accepted. You can accept more than one answer if they all work. No species.txt file is needed in your case. There is no complete genome format. We are downloading only those genomes that have been marked as complete in the relevant column in assembly_summary.txt file.